We were briefed to help consolidate staff from a number of smaller offices into a new Headquarters building in Kings Cross. 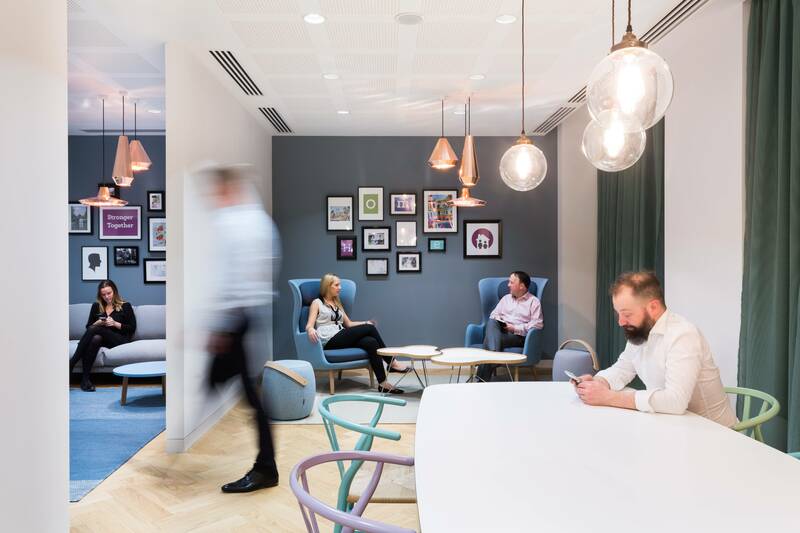 To mark the start of a new workplace philosophy for the company we created a new agile working environment, reflective of their company values. 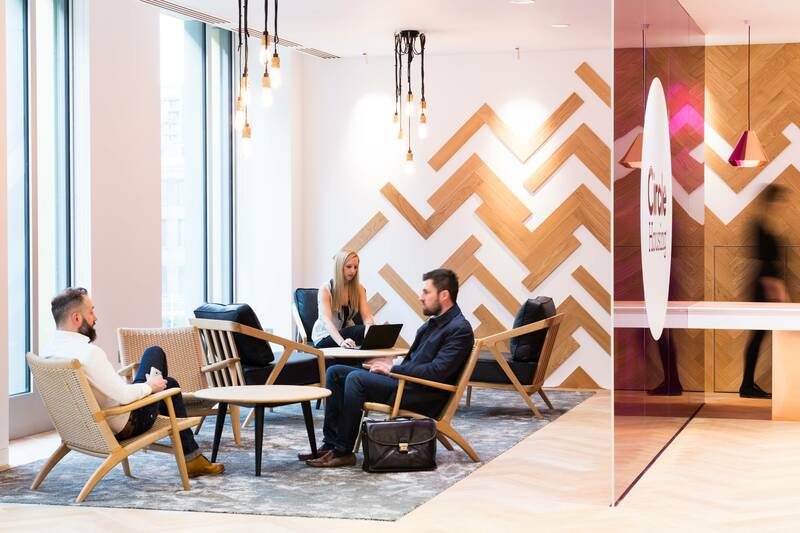 To encourage collaboration and agile working we have created a wide variety of different working zones. 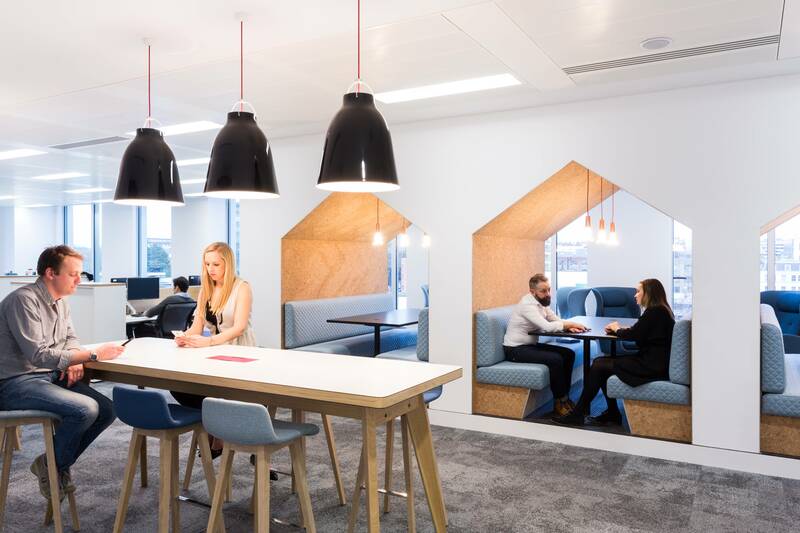 The concept takes Circle Housing back to its roots as a supplier of affordable housing; the office design incorporates domestic like settings to differentiate working areas, creating a laid back, flexible and comfortable feel. A key feature in the space is ‘The Home’. This area acts as the main breakout space for the floor where Circle Housing staff can meet informally away from their desks. 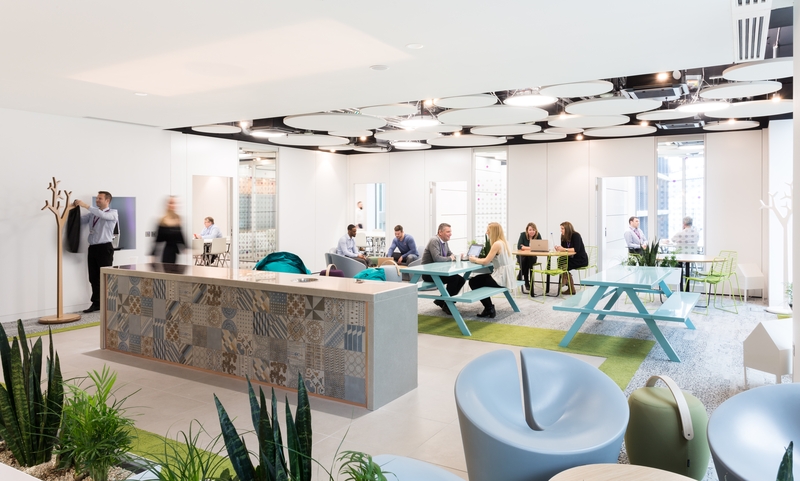 Soft seating areas and a dining table complement the modern tea point facilities, resulting in a relaxed and un-corporate atmosphere, designed to encourage a healthy and happy work force.